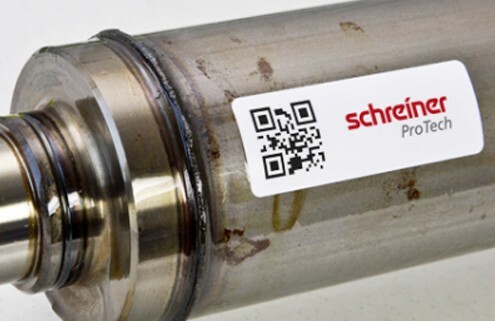 Schreiner has developed the next generation of its COLOR LASER FILM marking system. A new composition of the CLF layers enhances counterfeiting protection due to specific interactions that occur during the laser marking process. Industry 4.0 is an increasingly relevant hot topic, as more and more companies in the automotive industry, in mechanical engineering and in the electronics sector are seeking to roll out RFID across all processes. While the selection of a suitable label tends to initially be focused strictly on unit cost, an analysis covering all the bases right from the beginning would be important for developing a perfectly customized RFID solution with long-term viability. Schreiner LogiData’s 360-degree model assists in this endeavor. 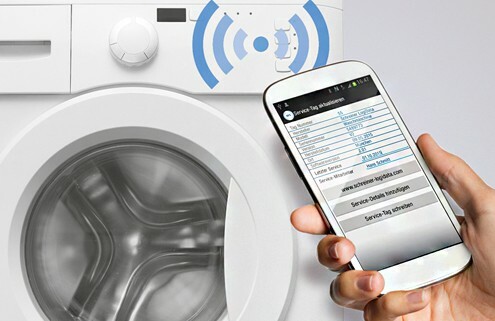 About 4 billion smartphones with integrated NFC reader are in use all over the world. All major mobile communications providers have several NFC variants in their portfolios. An excellent starting position to benefit from the advantages offered by an innovative way of product labeling! Every car is assembled from about 10,000 individual parts. They are made of numerous materials, come from all over the world, and require different ways of processing or storage. In the automobile industry, RFID labels for product marking are increasingly applied by suppliers, thus enabling consistent detection and documentation of upstream products throughout the entire production process. Adhesive and Oil? Opposites attract! A cat is a mouse’s natural enemy. The same applies to adhesives and oil: Usually, they do not get along and prefer to stay away from each other. There are virtually no adhesives that work well on oily substrates. Oily substrates and self-adhesive nameplates are a contradiction in terms – and exactly the challenge the team at Schreiner Group’s ProTech business unit have to tackle. //www.schreinergroup-blog.com/wp-content/uploads/2015/08/oillabel.jpg 400 495 Susanne Höppner //www.schreinergroup-blog.com/wp-content/uploads/2015/09/schreinerlogo2.png Susanne Höppner2015-08-19 10:49:252015-12-11 12:14:51Adhesive and Oil? Opposites attract!